Please join us on October 22 at Trinidad Rec Center! This month MPD will update us on their latest anti-crime initiatives, and we’ll learn more about Little Free Libraries. 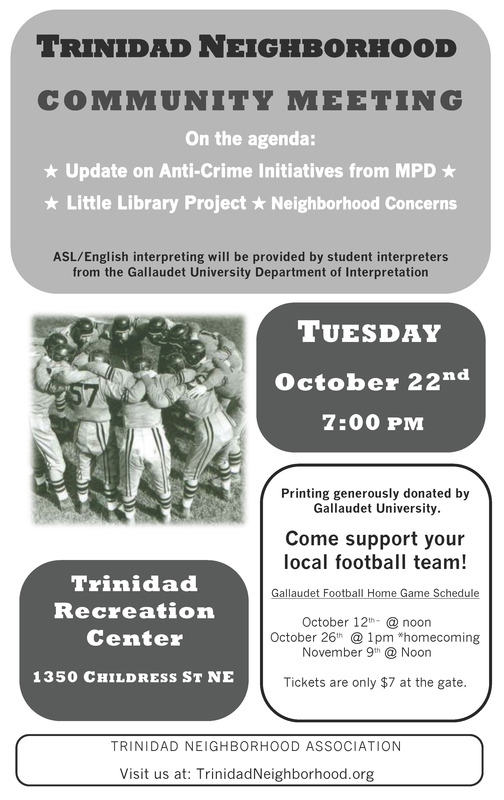 A big thank you to Gallaudet University for sponsoring our flyer printing and for providing ASL/English student interpreters for the meeting! Posted on October 14, 2013, in Meetings and tagged TNA. Bookmark the permalink. Leave a comment.